LMC7 tyres are excellent for trucks that need to support extra weight at times when they are loaded, either for personal or professional use. 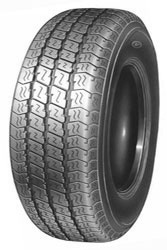 The support built into these tyres is perfect for this and reduce the amount of wear caused by this additional weight. You can enjoy better traction and grip at all times, regardless of the weather, with LMC7 tyres from Infinity and this goes to show valuable these high quality tyres are.